Truth be told, there is no set formula for a successful YouTube channel. But there are a few key ingredients that will make your chances of YouTube fame all the more likely. 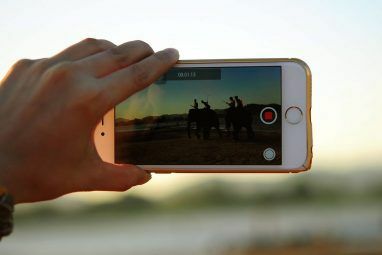 YouTube megastars like Ryan Higa, Ray William Johnson, and Bethany Mota have amassed billions of views simply through vlogging. This has almost certainly raked in seven figures or more in revenue, while leading to untold opportunities outside of YouTube. And then there are the channels that house much more substance, while still remaining impressively popular. Take Creative Live, the Ask Gary Vee Show, and Big Think. These channels may all be entirely different, but share the common factor of regularly being watched by huge numbers of people. This is because they’ve stuck to at least some of the key ingredients below. 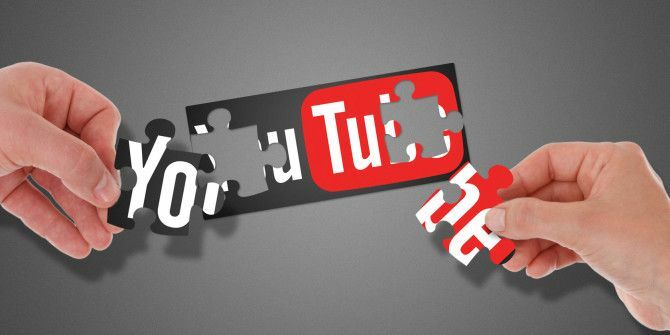 Successful YouTube channels often need more than just engaging videos to become popular. The metadata — title, description, keywords, and tags — are incredibly important, too. It’s based in large part on this data (in combination with other things) that YouTube ranks your videos in their search results. 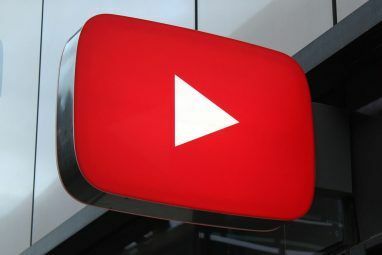 In other words, good metadata ensures your videos are discoverable YouTube Will Use Neural Networks to Actually Understand Videos YouTube Will Use Neural Networks to Actually Understand Videos Searching YouTube can be frustrating, because YouTube doesn't see the videos the way that a person does. Recently, Google files a patent that could change that. Read More . Take Gary Vaynerchuk, for instance. His descriptions include timestamps that not only help viewers navigate his videos, but are also full of relevant keywords. Links mentioned in the video are posted in the description. There’s also a short explanation about what different series’ of Gary’s videos are about, along with information on where you can find out more about him. When it comes to crafting your own metadata, use resources such as YouTube’s autocomplete search bar, YouTube Trends, and Google Trends to find the best keywords and tags to use. Include your most important link above the fold, as well as two sentences to describe the content within the video. Also make sure to describe what your channel is about, and let people know where else they can follow you. Lastly, include a call to action (usually asking people to subscribe to your channel). If you’re so inclined, producing and publishing a transcript of your YouTube video How To Transcribe A YouTube Video How To Transcribe A YouTube Video Everyone loves watching YouTube videos. But did you know it's incredibly easy to turn them into text files? Read More is also a sensible move. 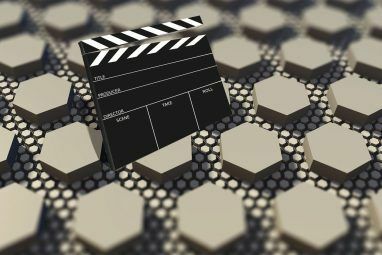 Your video titles should be short and snappy, offering a quick and intriguing insight into the content of your video. Don’t forget to include your main keyword(s), too! The best way to do this is to look at your title as if you’d never come across your brand before. Would you click on it? If you’re not sure, change it. This often means moving any personal branding within the title to the end, so the main keywords appear first. It also means including episode numbers for serial content. And very importantly, be honest. Don’t promise content that you don’t deliver on. Speaking of content, in very broad terms, there are two kinds of content you can produce The YouTube Guide: From Watching to Production The YouTube Guide: From Watching to Production Want to get the most out of YouTube? This Youtube guide is for you. This guide goes over everything you need to know about YouTube, whether you're an enthusiast or a budding director. Read More and publish you on YouTube. The first is “Pull Content”. This is generally evergreen content, with a wider, more viral appeal. This pulls new people to your channel and convinces them to subscribe. The second is “Push Content”, which you push to your subscribers because it’s what you know they want to watch. Your channel should be made up of a mixture of these two types of content. Take Jimmy Fallon as an example. Fallon has a huge following, but a relatively small number of his videos attract a disproportionate number of views. An obvious example is his video with Obama, which 12 million people have watched (this always seems to happen when Obama appears on YouTube Three YouTube Stars Interviewed President Obama, Here's What Happened Three YouTube Stars Interviewed President Obama, Here's What Happened Hank Green, Bethany Mota, and GloZell Green didn't waste their chance to interview President Barack Obama. Read More ). This content has a wider appeal than most of Fallon’s other content, but has likely been responsible for a large number of his almost 10 million subscribers. You should be looking to mix your content up like this, too. Not all of your content should be too niche, because you need to reach new audience members who will look forward to your push content. If you’re aiming to create a popular YouTube channel, you’re going to need consistent branding. This branding needs to be recognizable for people who learn to love your content. Plus, if your video thumbnails are instantly recognizable, it means you don’t need to waste valuable real estate in your video title by including the name of your brand there as well. The School of Life is a perfect case study here. They use the same, large font mixed with fun imagery and bold colors for each thumbnail. This means that when one of their 650,000 subscribers is on a School of Life binge, they can easily recognize more School of Life videos from the suggested videos sidebar. Naturally this leads to more views, and means they don’t need to write “School of Life” in every video title. If your audience loves your rants, publish a rant on the same day every week. If it turns out a certain structure for your videos was well received, make that your normal structure. If you’re answering audience questions, make sure it’s a regular show. Ryan Higa’s 16 million subscribers know that he’ll have one video uploaded for them each week. This keeps people looking forward to that next episode, knowing that they won’t have too long to wait. You could even use a tool like Wips to create a chrome extension to alert users when you publish your next video. YouTube allows you to add an end card (sometimes called an end slate) to the end of each of your videos, so make the most of it. Many YouTubers don’t use this feature at all. Others simply use it to display their logo. This is a waste. You should be setting up an interactive end card that not only prompts people to subscribe to your channel, but also cross promotes your other videos. When you do this, at the end of your videos people will be able to see a couple of your other titles. Even if they don’t want to watch them now, they may think “this channel has some cool stuff!”, and subscribe so they can watch later. Again, check out Jimmy Fallon’s end cards to see some fantastic examples. When people are giving you their attention, especially when they go to the effort of commenting on your videos, the least you can do is engage with your fan base How You Can Make the Most of the Social Side of YouTube How You Can Make the Most of the Social Side of YouTube YouTube IS a social network. Even if you don't run a channel, YouTube can be useful for interacting with the community. But why would you want to get to know random YouTubers? And how? Read More . After all, when people feel they have access to the person behind the brand, their loyalty rockets. This isn’t implying that you have to reply to every comment, but at least wade in occasionally to let people know you actually pay attention to what they think. Though by all means, ignore the YouTube trolls Here's What Happens When You Confront An Internet Troll Face To Face Here's What Happens When You Confront An Internet Troll Face To Face When you're just typing words into a machine, it's easy to forget that there are real people reading those words. Unless those people get in touch. Read More . To bring Gary Vaynerchuck back, this is someone who’s engaged with his audience hundreds of thousands of times. He responds to a huge portion of the tweets he receives, and reads virtually every comment on YouTube, while replying to many of those that arrive first. If he can do it, so can you. Allow your audience to become part of your channel. You can do this in various ways, from reading out comments, to asking them a #QOTD (question of the day). Photographer Chase Jarvis occasionally publishes videos like these (above), where he asks people to submit their photos so he can offer a professional critique. This is a perfect way to enable your audience to have a real stake in your channel, allowing them to direct the content, if even in a small way. If you want more ideas, read about various ways you can involve an audience during a presentation. Many of these apply to publishing YouTube videos, too. If you have a fairly popular YouTube channel already, chances are that another YouTuber with a similar audience will be happy to collaborate with you. By producing a video with other collaborators mean their audiences will get to know you, and vice versa. If you want to keep things simple, you could just give a shout-out to a channel you recommend, and ask another channel to do the same for you. I recently watched a NerdWriter video in which I was told “If you love my videos, you’ll definitely like those from Wisecrack”. And so I became a subscriber to the latter. This is a simple and effective way of gaining new subscribers and views on your videos. These ingredients to a successful YouTube channel are nothing unless you implement at least some of them. No one ever said becoming YouTube famous was easy, but by following some of the commonalities that many successful channels share, you’ll have a much greater chance of succeeding, too. What other tactics and strategies have helped you to build your YouTube channel? Is there anything you tried that turned out to be a waste of time? Hi! This is a great blog post. I also have written a blog post about how to get famous on youtube. If you put that blog post link on this page then it will be very grateful for me. But one thing I want to say is that if you feel this blog post is really very awesome, then only you pay attention to it otherwise you can ignore it. Rob, thank you for all of this info. I'm thinking about starting a youtube channel and this is great. I have a question: My idea is to start some short comedy stories; however, English is not my native language. Is it a good idea to have at least English subtitles (having people talking fluent in English will be very difficult); and everything written in English ? I mean titles, descriptions, tags, etc? I asking this because I also want to try to reach other people. This is by far, the best article that I have read about youtube videos. I have recently started my Youtube channel sharing the work I have loved for years and thanks to your article, I now have some things to look at doing to help with my channel. Thank you for your time in putting this valuable information together. What do you do if you're not charismatic or confident enough, and more the withdrawn, self conscious, introverted type? I've wanted to start my own YouTube Channel in regards to self-promoting me playing the piano, because I'm really good at it, but need like a YouTube Mentor of some kind to get me started. Plenty of people get decent views for music channels on YouTube without needing to show their face, and rather just point the camera at the instrument. Other than that, a YouTube mentor would be a great way to go. Someone who can help you build up some confidence, and become more comfortable in front of the camera. hi I tried doing my own videos too and never was confident or brave enough to post them but you know what youtube isn't for becoming famous its for fun to make videos that make you happy ! But if you more of an introvert then why don't you tell your subscribers that and if your really good at playing piano then play the piano who cares about anyone elses opinion. thx this is very useful. I actually think i might want to use this in a youtube video! thx and i will add a link! Koocam is the perfect site for those who wants to work from home by selling their knowledge.Any knowledge is required. Thank you, buddy! This information is so valuable and helps me to do the first things stuff in YouTube! I'm new to YouTube, so, yeah!! with your tips I'll get us there, thanks. Thank you for a great informative post ! This is a really a helpful content for me and many other people. I'm going to start a YouTube channel, so it will help me a lot for starting up my channel. Really loved this post and learned so much from it. I have been thinking of starting a you tube channel and this gave me a great deal of valuable information. Thanks Lee! Really pleased you found the content helpful!